If you have never used sage in cooking than you are missing out. 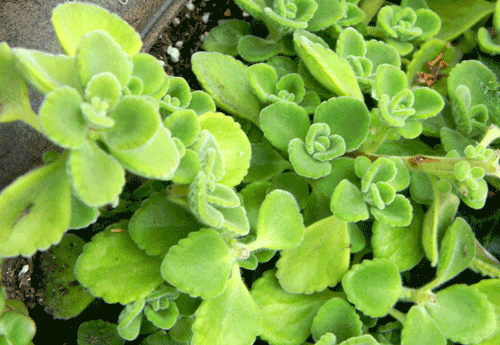 A lot of people love to grow it in their gardens because of the lovely herbal aroma and soft fuzzy leaves. But, if you only add a few fresh sprigs to a favorite recipe, you can transform it into a favorite. I personally love using sage in all my thanksgiving recipes. It adds depth and flavor to the turkey, stuffing, potatoes and veggies. It just wouldn't be the same without a bunch of fresh sage sitting in my kitchen, while I prepare our holiday feast. Cooking sage mellows it's aroma and flavor to a very appealing level. Although sage is available both fresh and dried, we really like using fresh. Dried sage has a stronger, more concentrated flavor that sometimes can be over powering. 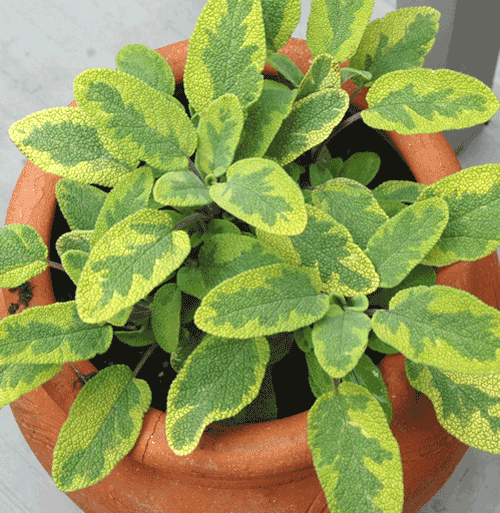 A potted sage plant sitting on a patio, or next to a back door, can yield tons of leaves. Sage plants are tough and can withstand light frosts, making them available throughout the year. They need lots of sunlight and do best in a well draining potting soil. The more you harvest the leaves the more the plant will grow. Be sure and rinse them before use and dry with a kitchen towel. Keep it as dry as possible because moisture can make it deteriorate quickly. When it comes to selecting a pot to plant sage into, terracotta is a favorite. The clay is meant to breathe and therefore is good for the herbs root system. However, any garden pot from ceramic, glazed, concrete, poly resin and fiberglass will all work fine. The larger the pot the larger the plant will grow. Eventually, it will fill the pot completely and become very hardy, so don't start out with a small tiny pot. Anticipate growth. Finally, there are many different varieties of sage plants. 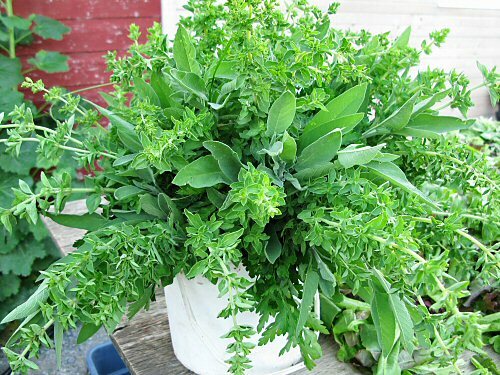 The most popular is the standard culinary sage (officinalis) which has gray green leaves and fuzzy texture. But, there are lots of varieties that you can find a nurseries and garden centers. Berggarten, Holt's mammoth, woodcote farm and variegated.....just try them out. Each will look and taste a bit different. Make this a fun and relaxing project. Read more.....Planting a cool container!